Jen Heieck - Rodan + Fields - Get Involved. Make Friends. Enjoy Motherhood. A MOD Moms business. Rodan + Fields is an innovative skin care line from the dermatologists who created Proactiv! 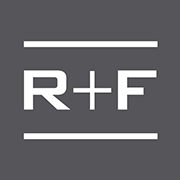 The R+F products have been formulated for adults and designed to target specific skin concerns, including aging, wrinkles, sun damage, adult acne, scars, and more! From daily skin regimens to specialty tools like micro-needling and macro-exfoliation, Rodan + Fields gives you the results you could formerly only get with a prescription. All products come with a 60-day money-back guarantee. Contact me for more info!